Welcome to this third Funked Up! blog post, delivering the galaxy’s greatest funk to any time and place. I was working on two Album Rundowns this semester and figured; why not mash em together? The two albums we’re gonna hear today are Sly and the Family Stones’ There’s a Riot Goin’ On and Daft Punk’s Random Access Memories, two highly contrastive and unique funk albums. There’s a Riot Goin’ On is a landmark funk record released right at the funk’s synthesis, yet it twists the typical vibes of funk into something very different from the norm, with stream-of-consciousness grooves that are most often dark, mellow, and gritty. 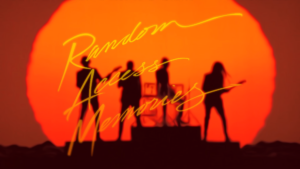 Random Access Memories, meanwhile, is a crisp and cohesive bit of eclectic 70s nostalgia, with its grooves bright and well-orchestrated and its themes relating to both the past and future. There’s a Riot Goin’ On (1971) is a unique album in the context of Sly’s discography and funk in general. It is a marked departure from the sunny, positive, accessible work of the group’s previous hit albums Stand! and Dance to the Music. Check out the tracks “Stand” or “Dance to the Music” for comparison. While funk usually echoes a joyous positivity about life, Riot privileges slower funk grooves with dark themes of social disillusionment and drug abuse. The alluring opener “Luv ‘N Haight” mirrors the dichotomy of drug use, of epic highs and dismal lows. The chant “Feel so good, feel so good, don’t wanna move,” and an array of pulsating guitars echo throughout and around the groove–this is a fully medicated funk track. Yet sometimes periods of break from the groove surface where the singers seem to rise above the din, finding moments of light and realization above the druggy haze. The following track, “Just Like a Baby”, continues this exploration of drugs, and its groove is darker and slower still. “Family Affair”, somewhat surprisingly a #1 pop hit, typifies the album’s style of dark, bittersweet funk. Its rhythm is less chaotic than the previous tracks, seeming more a lucid reflection than a disordered trip. The lyrics echo the good and bad of family life, of joys and sorrows in tandem. 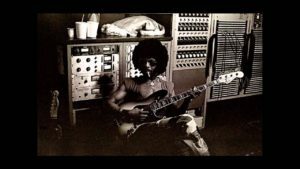 Sly Stone’s vocal performance here is tired, jaded, understated: incredibly rare qualities in the funk genre where vocals tend to be joyous and loud, stretching above the groove. Here the vocals rest on earth within and below the groove. “Family Affair” is dense, world-weary funk. Many of Riot’s tracks reflect on the social tragedies of its time. “Runnin’ Away” looks at poverty and depression with irony, an upbeat groove and repeated “hee hee ha ha”s joining playfully sad lyricism like “the deeper in debt, the harder you bet.” “Africa Talks To You (The Asphalt Jungle)” muses on the police violence and social turmoil of the 60s and early 70s, reaching its heights at the rising chorus line “Timber, all fall down!”. 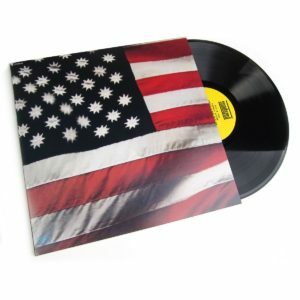 Yet among the album’s dense, emotionally troubled and drug-clouded tracks there are moments when Sly’s exuberance comes through. “Poet” is a resounding statement on Sly’s individuality and the power of his music, and “You Got Me Smilin” echoes the importance of life’s fleeting joys. But even these seem to contain only a temporary, restrained positivity. While the great majority of funk albums represent exuberant, bright, perhaps escapist outlooks on life, Riot subverts these themes in favor of a jaded, gritty outlook that puts the realistic dichotomies of life in the spotlight. And it does all this while presenting some of the best and most unique funk instrumentals of the early 70s. Random Access Memories (2013), meanwhile, is a nostalgic, infectiously funky electro-disco album that harkens back to the 70s and 80s while maintaining the crispness of modern electronic and house music. It is a fusion of disco vibes and the “sounds of the future” where synthesizers and vocoder parts lend themselves to themes of futurism and robotics. And it’s not only just disco and funk in here either, there’s a variety of genres from 80s synth pop to progressive rock thrown into the mix. 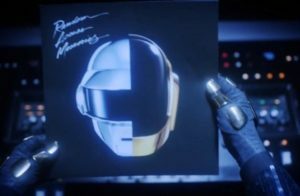 In the context of Daft Punk’s discography, RAM puts Daft Punk’s musical talents towards both fresh and time-tested funk. The opener “Give Life Back to Music” is an elegant, well-orchestrated funk arrangement whose crisp funkiness is characteristic of the album. Starting us off an epic chord progression succumbs to a complex, highly syncopated groove- a truly grand introduction to the throwback sound of the record. Unique to this “new disco” sound is the absence of the horn parts found on so many funk songs. Instead, layered guitars, bass riffs, and vocoder vocals are privileged as melodic players. This funk is unrelenting yet uniquely stripped down. “Get Lucky” was a massive hit single for the album and remains a highly recognizable song of the 2000s. Featuring the talents of impeccable rhythm guitarist Nile Rodgers of the band Chic, which scored hits like “Good Times” way back when, the song’s leading guitar riff and non-stop grooves are immediate and irresistible in their catchiness. This is disco condensed, distilled, and modernized, and I’ve seen its funkiness sway even the most stalwart of anti-disco persons. “Lose Yourself to Dance” lands in a similar vein of catchy guitar-driven disco and also includes Nile and Pharrell. Many of the album’s best tracks meld together instrumentals and vocals into immersive musical trips. “Georgio by Moroder” is an epic biography condensed into 9 minutes of dreamy disco full of epic solos. The bravely unique track is essentially an interview with Giovanni Georgio, composer of smash disco hits for the likes of Donna Summer, elaborated on through music. But by the time the song concludes, one feels like they’ve experienced an intimate understanding of the man and his music. “Touch” is a melancholy futurist fantasy that weaves a tale of a person in a far future longing for love, happiness, and purpose. It begins with an almost painfully longing robotic vocal intro, bounces up to a gorgeously flighty keyboard and horn groove and comes back down to an almost Beatlesque conclusion. The diverse components of these tracks, their buildups and comedowns, are constructed into effective musical journeys. Listening to these highly contrastive works of funk might help one appreciate the special traits of each a bit more. These two also highlight the diversity of funk throughout the years, of varied rhythms, tones, themes, and instrumentation. Thanks for joining me on this Double Album Rundown, and as always be sure to check out all the great tracks I’ve linked here for yourself and feel free to comment with your own ideas on these albums. And of course tune in Thursdays 5-6 for more great funk music- look forward to the Queens of Funk special this week followed up by another extensive blog post on the subject. See you then!